The Old School House was designed by A. E. Lewis and built by Edgar S. Tubbs in combination Mission and Mediterranean Revival styles. It has two classrooms, stucco walls and a hip asphalt roof. The building has a “T” shaped footprint on a concrete slab foundation. There was no electricity in the school in the 1920s, so there were no fans or heaters and, of course, no air conditioning. Large windows that lined three of the walls were installed to provide some relief from the South Florida heat. If the temperatures dropped too low in the winter, school was canceled. As early students remember, school supplies were provided by the county and consisted of pads of paper, pencils, inkwells and pens. Hours of operation were from 8 a.m. to 3 p.m. and a hand-tolled bell located in front of the school started school each day. During its time of use the school was segregated. Black students attended the Braithwaite School down the street. 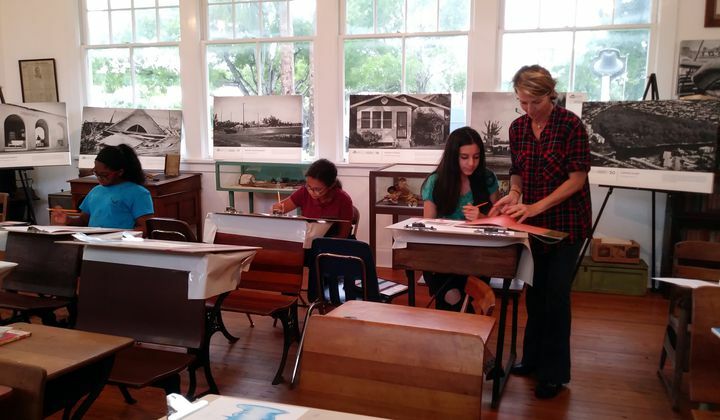 The school is Deerfield Beach’s oldest surviving school structure. 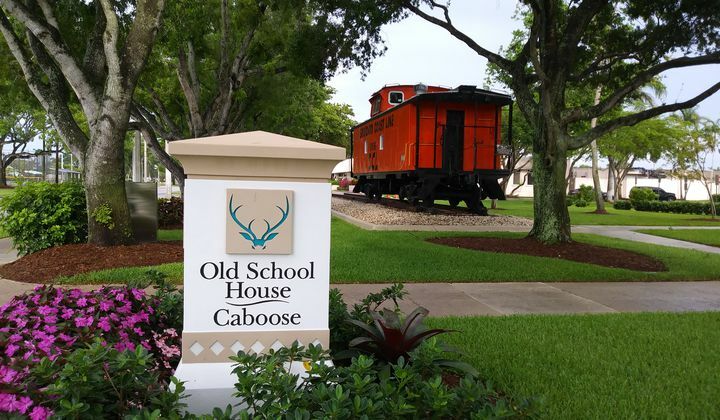 Originally called Deerfield School, it is now called The Old School House. In 1926, after the larger Deerfield Elementary was built, The Old School House was used for Deerfield city government business. “The polished wood floors of the school room have been restored, and the blackboard hangs in the original frame. The original glass windows are characterized by their ‘wavy’ appearance. Light is provided by three bare bulbs on wire hanging from the ceiling.” Deerfield Beach recently faithfully restored the interior with new plaster and paint. The Deerfield Beach Historical Society and the City of Deerfield Beach use one side of the building for meetings. The other side of the building is the museum and replica of a 1920s school house, often used for tours, lectures and historical events. Exhibits include original school supplies, pictures of original students and routine classroom furnishings of the era.